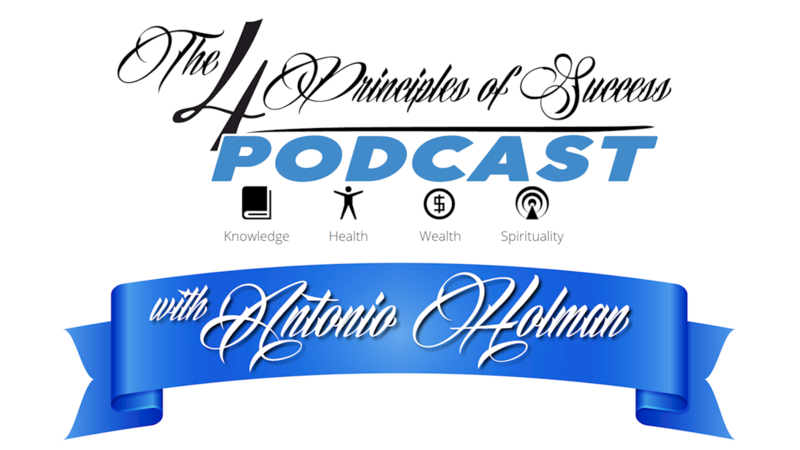 Good day successors I'm Antonio Holman and welcome to The 4 Principles of Success New Year gratitude! I just wanted to make this quick episode to say thank you for listening and to give a huge bit of gratitude to the many guests I've had on the show. From attorneys to entrepreneurs to coaches to healers, so far, as the creator and host of this show, I've had the opportunity to meet some amazing, successful people with incredible stories, I've learned a ton of fascinating things to help enhance my life and as a listener, I really hope you've gathered lots of value as well. This year let's keep it going! This year, I'll be featuring even more insightful, fun, successful people who can help YOU enhance your knowledge, health, wealth, and spirituality. To stay in the loop of what's happening on The 4 Principles of Success, stay subscribed on your favorite podcast app, like iTunes, Stitcher, GooglePlay and others, as well as get even more in-depth info by subscribing to my newsletter at the4pos.com. Thanks for listening and prepare for success!